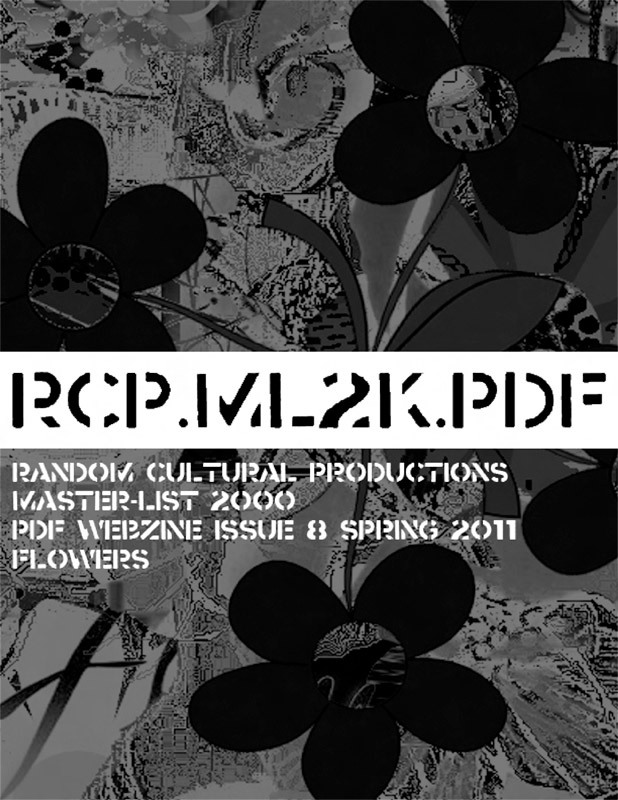 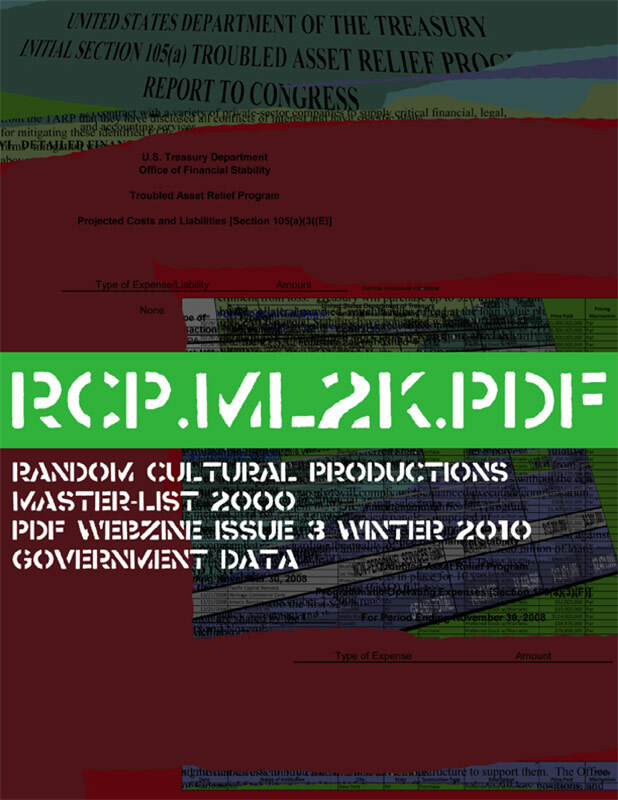 RCP.ML2K.PDF is a PDF webzine available for download online. 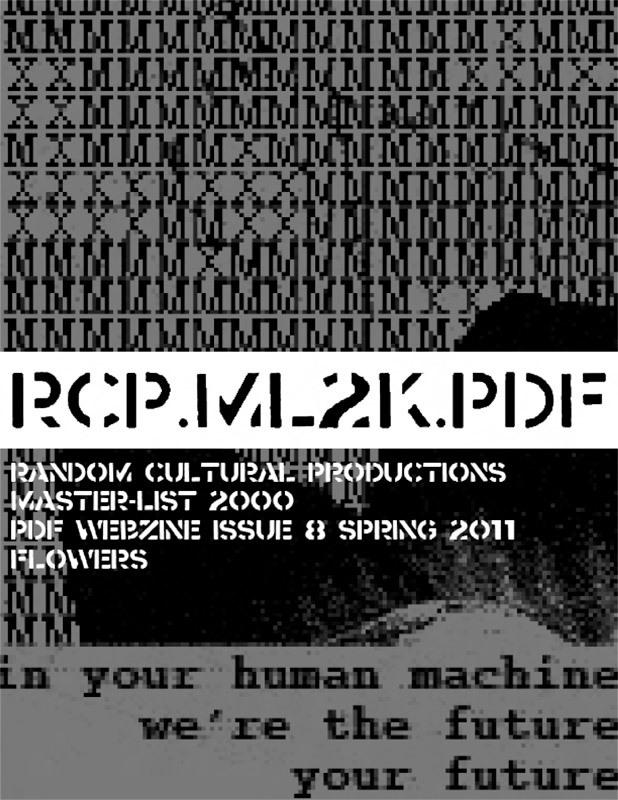 The project explores image circulation, as well as the fluid and adaptable nature of images in the digital environment. 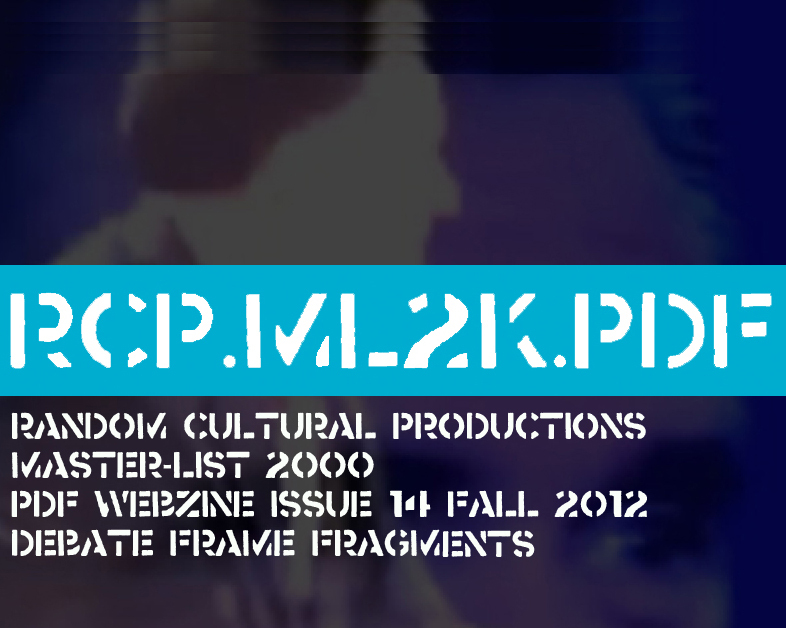 It explores the contextual nature of collaged images and image sequences. 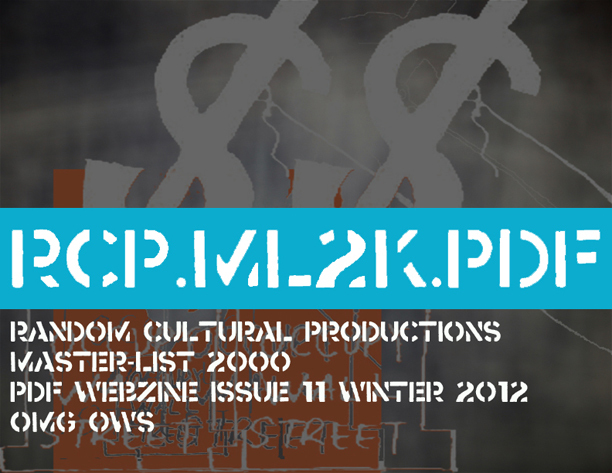 The project was developed with the intent to create an artwork that participates in the gift economy of file sharing. 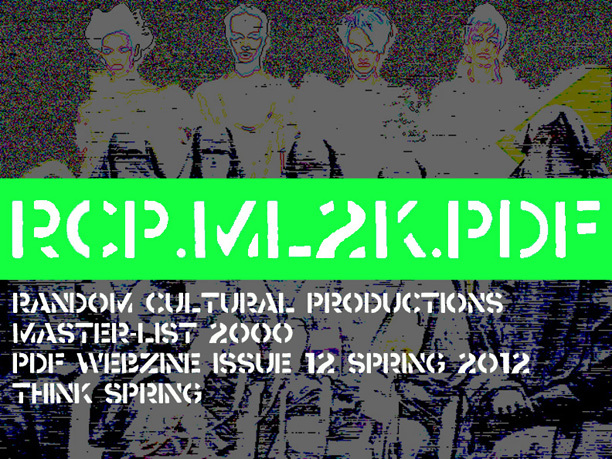 This project is a collaboration between A. 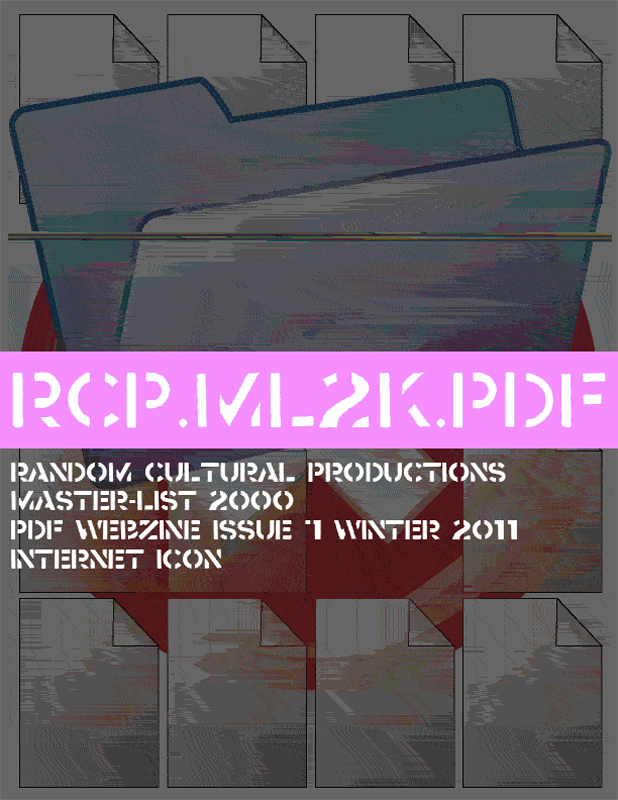 Bill Miller of Master-List 2000 and Brandon Bauer of Random Cultural Productions. 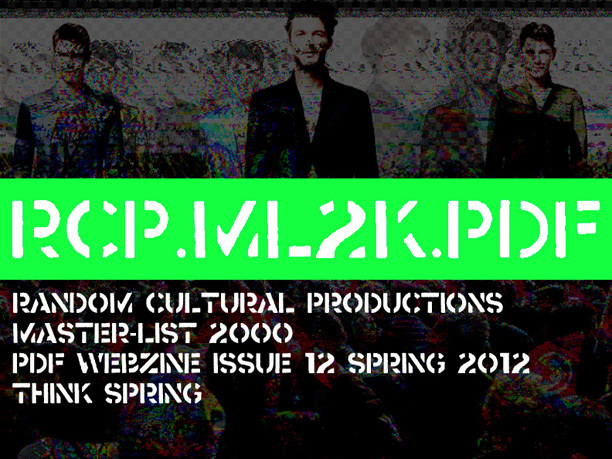 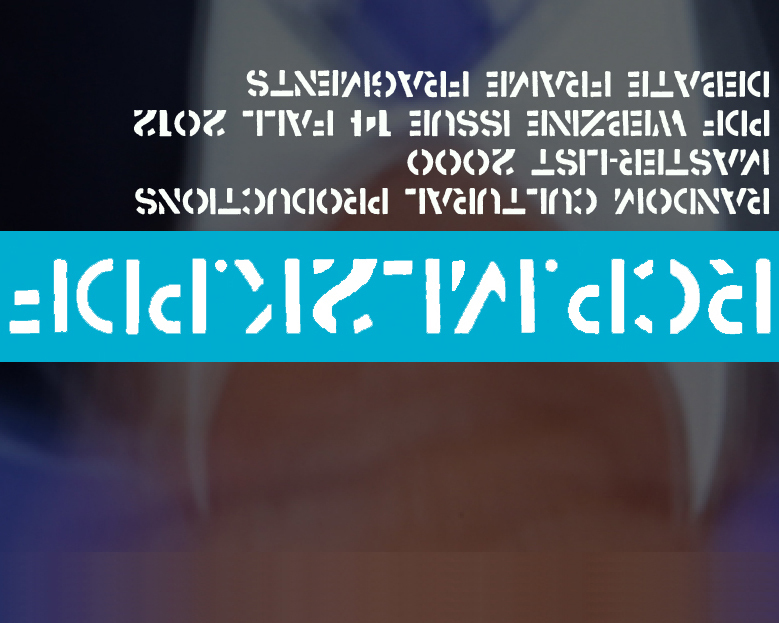 Issue 14 Fall2012 "DEBATE FRAME FRAGMENTS"
Issue 13 Summer2012 "ROCKETS REDGLARE"
Issue 12 Spring2012 "Think Spring"
"THINK SPRING think spring THINK SPRING"
Issue 11 Winter2012 "OMG OWS"
"the revolution is televised on the internet"
Issue 10 Fall2011 Extended Dance Remix"
Issue 9 Summer2011 "Endless Summer"
Issue 7 Winter2011 "Internet Icons"
Issue 6 Fall2010 "Sorry Sessions"
Issue 5 Summer2010 "Jogging Dump Remix Mash"
what happens when you go jogging while dumping? 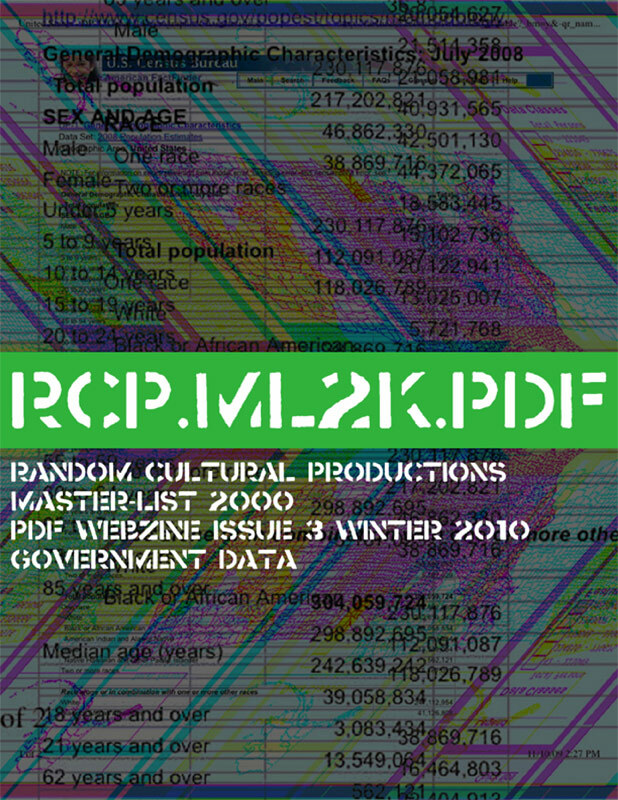 Issue 3 Winter2010 "Government Data"
Issue 2 Fall2009 "What We Do Is Secret"
Issue 1 Summer2009 "Crunch Crisis"